Conor Walsh, the Gordon McKay Professor of Engineering and Applied Sciences at the Harvard John A. Paulson School of Engineering and Applied Sciences and a Core Faculty member at the Wyss Institute for Biologically Inspired Engineering at Harvard University, has been elected into the American Institute for Medical and Biological Engineering ( AIMBE), one of the highest professional distinctions accorded to a medical and biological engineer. AIMBE membership honors those who have made outstanding contributions to "engineering and medicine research, practice, or education” and to "the pioneering of new and developing fields of technology, making major advancements in traditional fields of medical and biological engineering, or developing/implementing innovative approaches to bioengineering education." Walsh is the founder of the Harvard Biodesign Lab, which brings together researchers from the engineering, industrial design, apparel, clinical, and biomechanics communities, and focuses on applying disruptive technologies to the development of robotic devices for augmenting and restoring human performance. Example application areas include restoring the mobility of patients with gait deficits, assisting those with upper extremity weakness to perform activities of daily living and reducing the risk of injury for those performing physically strenuous tasks. His multidisciplinary research group of students, researchers and staff work together with clinical collaborators to tackle projects from multiple perspectives, with a focus on approaches that can ultimately lead to translation of new technologies via collaborations with industry partners. Example translation success include the soft exosuit technology to ReWalk Robotics and a minimally invasive catheter technology for repairing damaged hearts to Holistick Medical. Walsh is also dedicated to training the next generation of biomedical engineering innovators. The vast majority of alumni have gone on to paths in academia and high tech R&D positions in industry. Walsh also teaches medical device innovation in the classroom through a course he launched at SEAS that connects students with local clinicians. 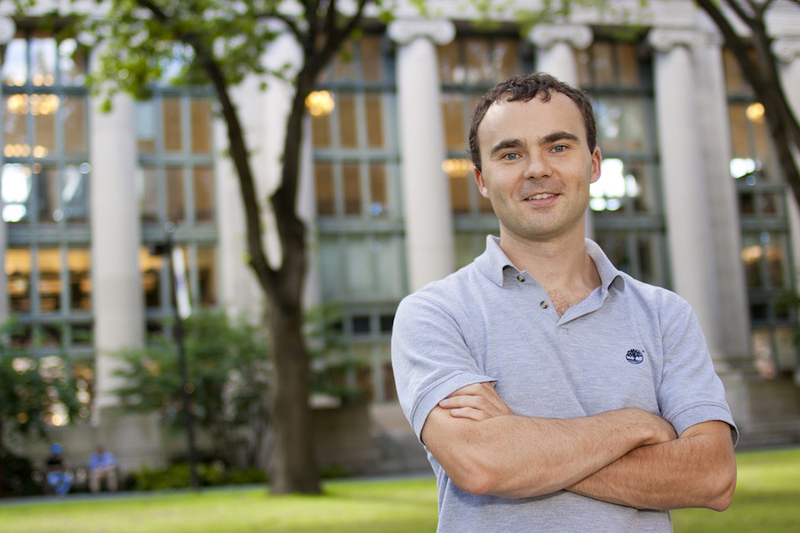 Walsh received his undergraduate degree in Mechanical and Manufacturing Engineering from Trinity College in Dublin (2003), and a Master’s (2006) and Ph.D. (2010) in mechanical engineering from the Massachusetts Institute of Technology. He joined the Harvard SEAS faculty and the Wyss Core Faculty in 2012.